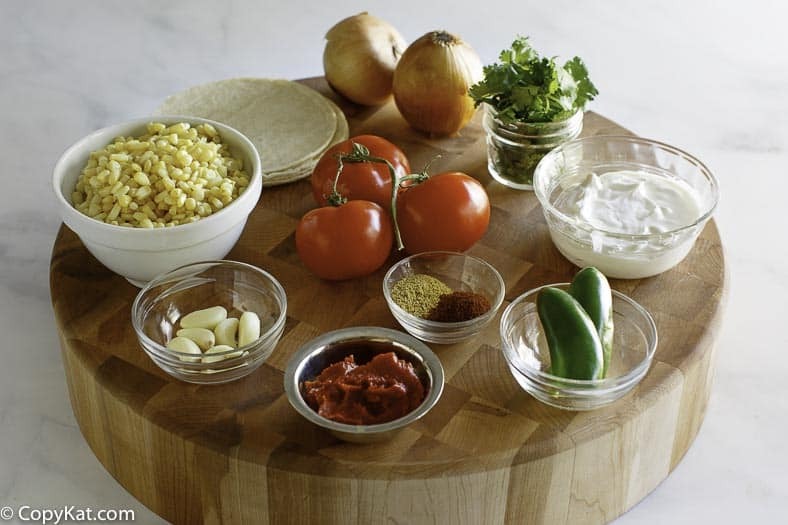 Make California Pizza Kitchen Sedona White Corn Tortilla Soup at home. The tortillas provide the thickening for this very special CPK tortilla soup while also adding that unique corn masa flavor. You really can recreate this famous soup recipe at home. All of these ingredients are easy to find, and in no time at all you can make a delicious bowl of soup. 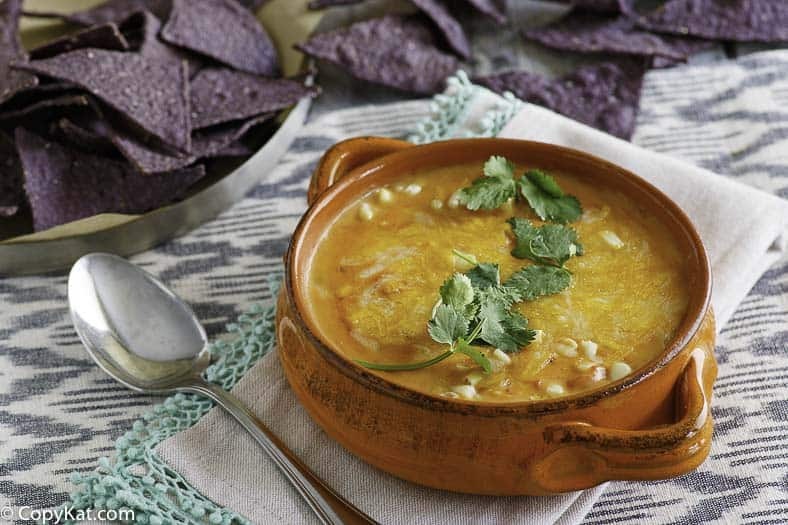 What makes California Pizza Kitchen Sedona White Corn Tortilla Soup so good? Fresh ingredients make for a delicious bowl of soup. Sure, you can always open up a can of soup, but it is easy to make a tasty bowl of soup in no time at all. Traditional Central American and Mexican food would not be the same without masa. Although the word masa literally translates as dough, it might just as well mean food. Without masa there would be no tortillas or tamales. Masa harina is a very soft flour used to make masa dough. This flour is prepared from finely ground dried corn kernels that have previously been cooked and left to soak in limewater. It’s this alkaline solution that imparts to corn tortillas and tamales their distinctive and pleasing sour flavor. Read more about masa harina by clicking here. The first CPK opened In Beverly Hills in 1985. The original CPK menu served innovative, hearth-baked pizzas with a California twist, such as the Original BBQ Chicken Pizza and the Thai Chicken Pizza, that were cooked in an open kitchen. The restaurant gave California a place in the pizza hall of fame alongside New York and Chicago. CPK was not content to stay in California, and now there are more than 250 locations in more than 30 states and 11 countries. Those interested in CPK recipes can pick up a copy of The California Pizza Kitchen Cookbook. Books are available in CPK restaurants or at their website. All of the proceeds from the cookbooks are donated to children’s charities across the country. For a long time, salad was the only starter we offered. Then we opened in Chicago and we were overwhelmed with requests for soup. In response, we began offering the Sedona Tortilla Soup and it was an instant hit! California Pizza Kitchen Original BBQ Pizza – you can make this special dish at home, our version of the recipe is no secret. 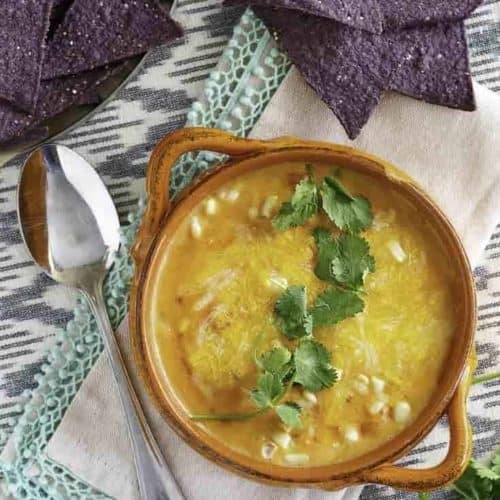 Make California Pizza Kitchen Sedona White Corn Tortilla Soup at home. Over medium-high heat, fry tortilla squares in olive oil until they begin to crisp and turn a golden yellow. Add garlic, onion and jalapeno; cook 1 to 2 minutes, until onion becomes translucent. Add half the corn along with all other ingredients (except garnishes), reserving other half of corn to be added at the end. Bring the soup to a low, even boil. Boil for 5 minutes. Remove soup from heat. Use a hand-held propeller blade processor to process in batches to the consistency of a course puree. You can also process in batches in a blender. Return the soup to the burner and add the reserved corn. Bring the soup to a boil once again being extremely careful to avoid scorching or burning the soup. 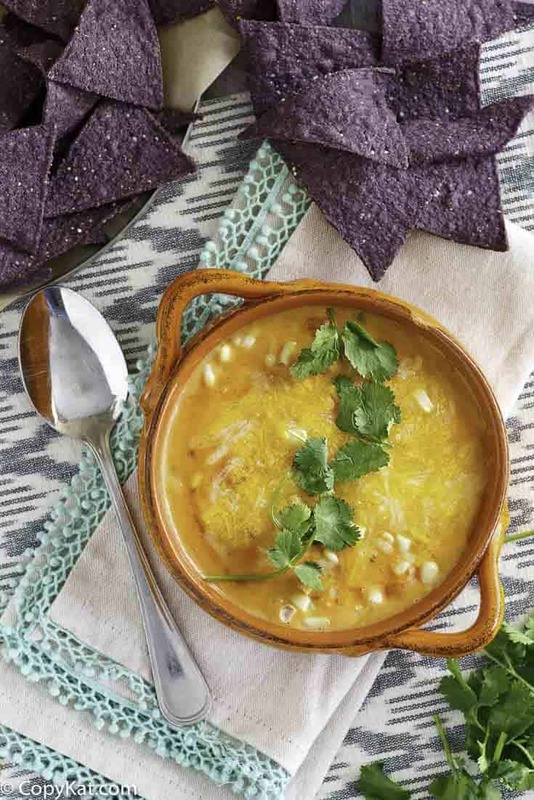 Serve, garnished with blue corn tortilla chips, cilantro and sharp cheddar cheese. In the menu of CPK for the Sedona tortilla soup it is showing tomatillos also, how that can be used in the recipe? Sure, you can use yellow corn. A pound of corn? How many does this serve? This was a great soup. I must have done something wrong though I’ve re-read the receipe 10 times. Mine is too tomato”y”. We love this soup! I always double and freeze some for later. Just wanted to say thanks for this recipe post! I made this last night and it turned out JUST LIKE CPK’s!!!!! I made this recipe and it made 6 big bowls…. I think I am going to double it next time it was so good and it went fast!! This is the same recipie in my book. We love it. I have the origional CPKr recipie book, in the book it states chix broth as the origional recipie, but you can sub veg broth. My book is an old copy, 1st edition. Can I use vegetarian stock as I am a vegetarian and saw chicken stock so wanted to swap. Pls let me know as I’m dying to make this and hope it tastes just like the CPK version. Yes, you can use vegetarian stock. This looks delicious. I will be making this one soon!